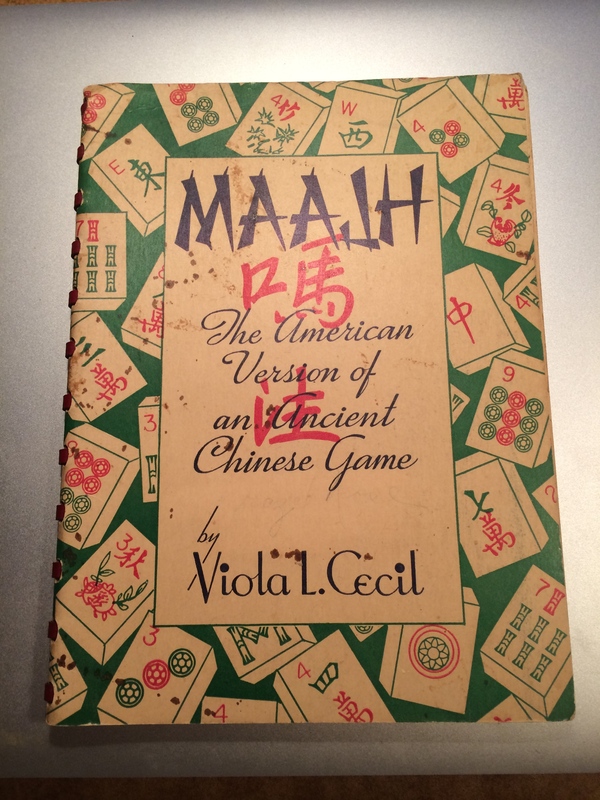 About a year ago I posted the following entry below along with some photos from my very proudly owned copy of Viola Cecil’s book, MAAJH – The American Version of an Ancient Chinese Game. 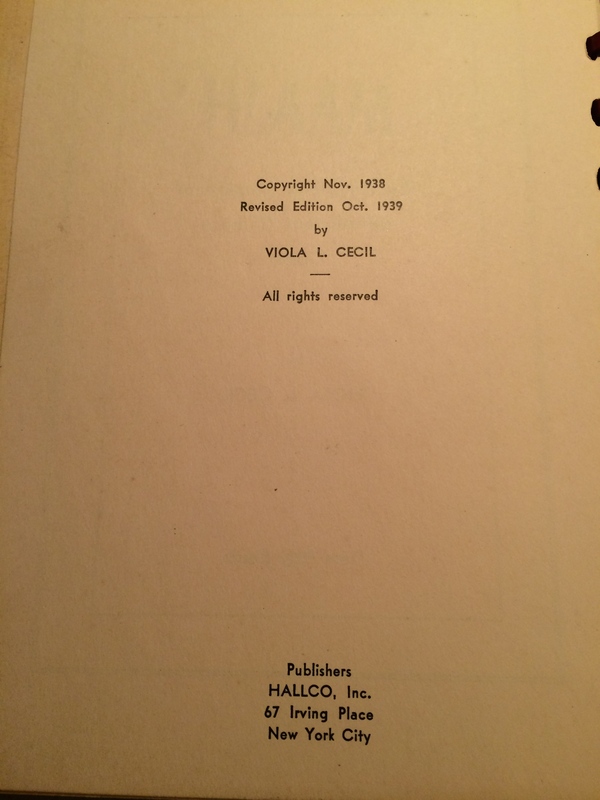 Last week I received a request from Viola’s grandson, Bill Cecil, asking if I could find a copy of her book for him. Does anyone have a copy that they would like to sell to Bill – or that they would like to give as a very memorable and meaningful gift to him? Please let me know – it would mean so much to Bill to have her book. Thank you for your prompt reply, Ann, and for offering to determine whether a copy of the book can be found. 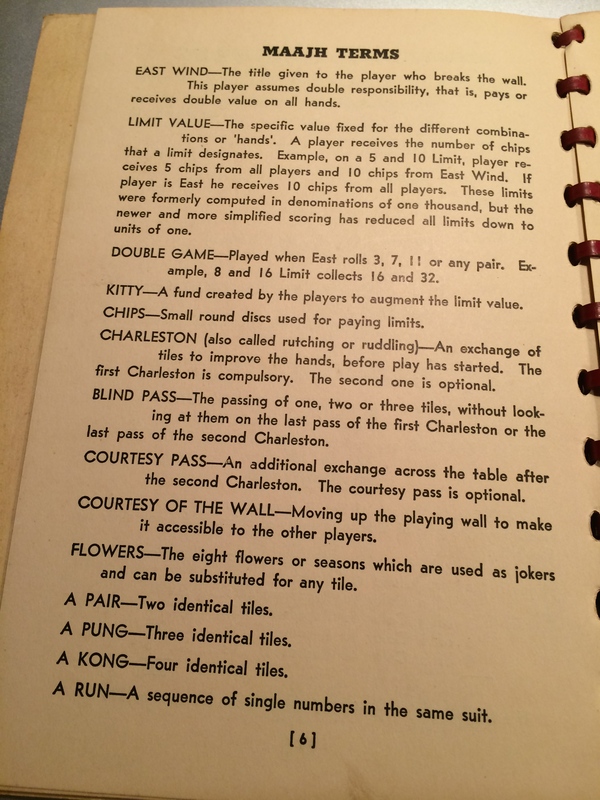 I don’t expect anyone to part with theirs, just hoping that maybe the National Maj Jongg League might have an extra copy, or some other non-intrusive options exist. Yes, I did know Viola. By the time I was born (1959) in Tucson, Arizona, she had moved there from NYC. (She was divorced at that point.) She died in about 1986; I believe that she was 92. She was in good health throughout her life, and was a very active bridge player. 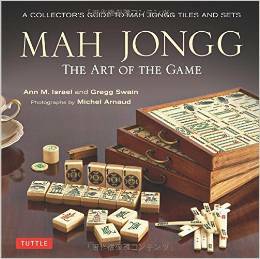 I recall her talking with great pride about Mah Jongg, and all the great friends that she had made by being part of bringing the game to the U.S. I wish that I had spent more time with her, but our family moved to Southern California in 1965, so we only saw her a few times a year after that. Her son, my father, Louis Cecil, passed away in 1990, at age 72. I also have a sister, Ruth. I’m named after Viola’s husband, William, who started Cecilware Corp. in NYC, which is still in operation and recently merged with Grindmaster. Viola and William were also big supporters of the Hadassah Aid Society there, and I have a picture of them at a banquet for the organization, which was held at Hotel Martinique on February 20, 1915. Bill also was kind enough to send a photo to me of Viola Cecil which I have posted below this August 2014 blog entry. Enjoy! 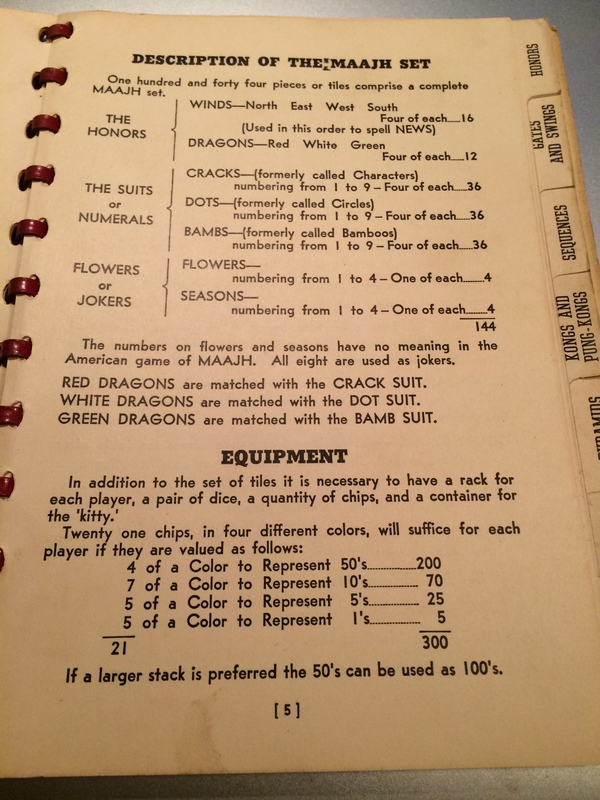 And please let me know if there is a copy of MAAHJ – The American Version of an Ancient Chinese Game for Bill and his family. 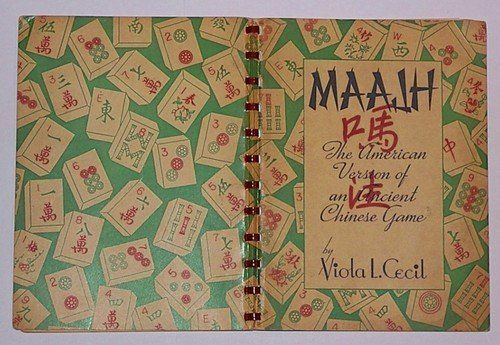 No, I didn’t spell our beloved game the wrong way – this is how Viola L. Cecil spelled it in 1938 when she wrote her book, MAAJH – The American Version of an Ancient Chinese Game (the book was written in 1938 and had its first revision in 1939). 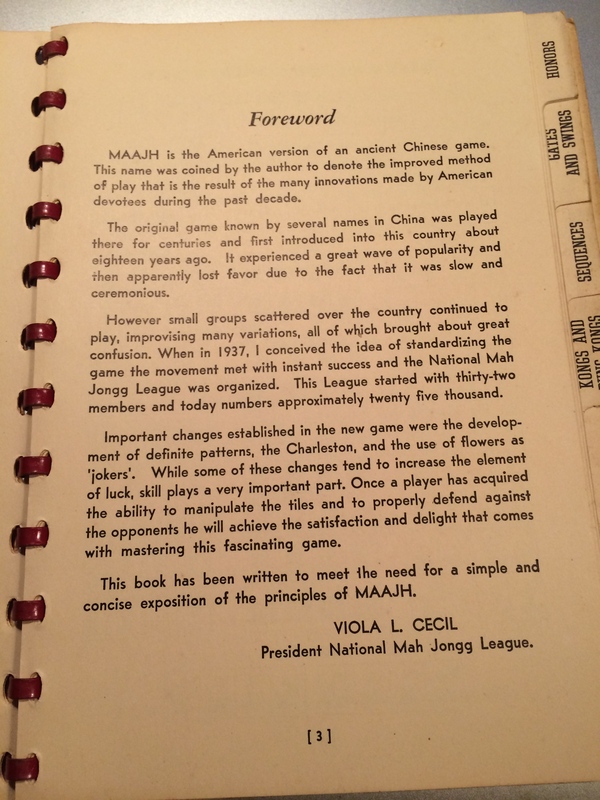 In the foreword to her book, Viola signs her name with the title, “President National Mah Jongg League.” Since the National Mah Jongg League was founded in 1937, it would seem that Viola was one of the founding members and probably the very first president. Here’s the front and back cover. 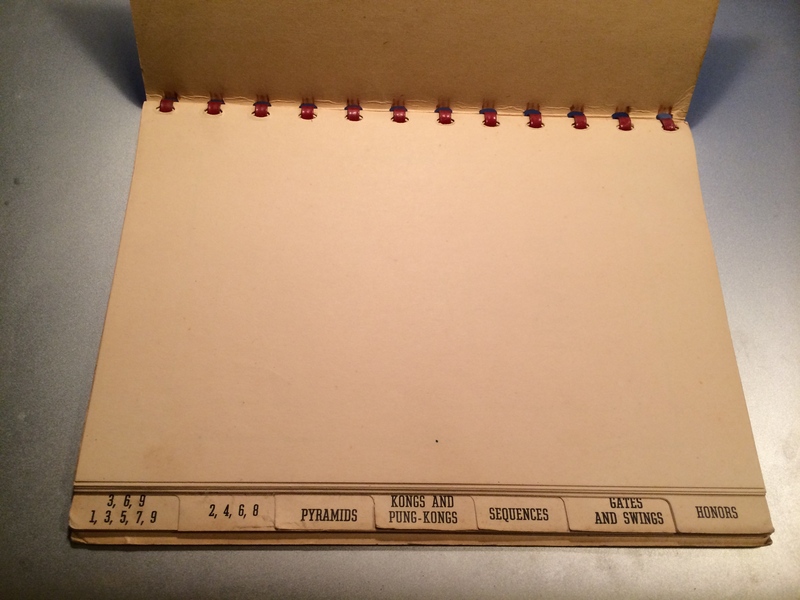 The book is bound with a red spiral – very cute. 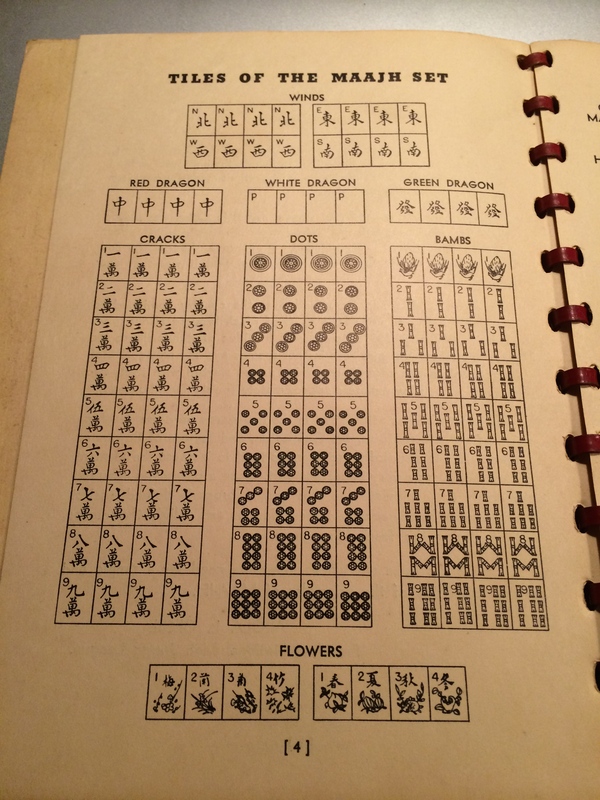 And it is in these next two pages where Viola explains the terms of Mah Jongg. 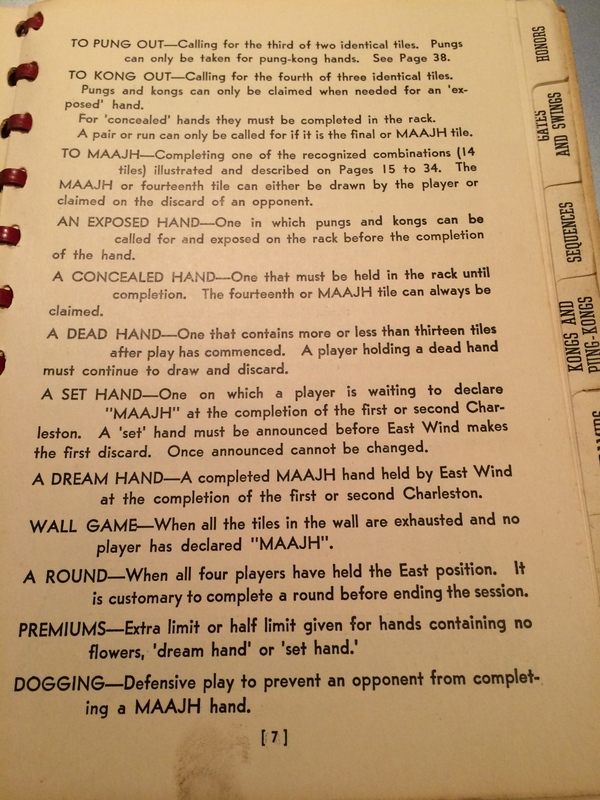 I wasn’t familiar with the term “dogging” but I suspect that we all have used this defensive method of playing more than once! 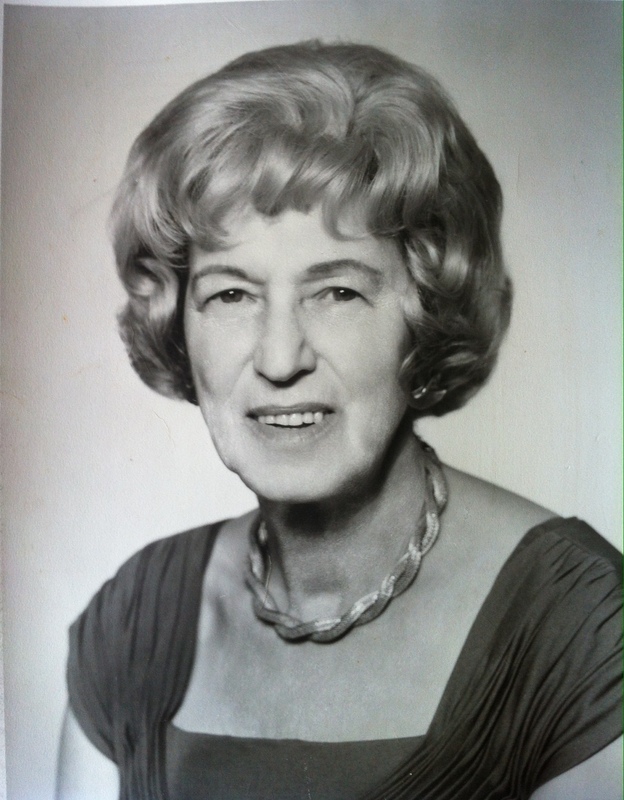 And here is the photo of Viola from 1964, courtesy of her grandson, Bill Cecil – let’s take a moment to remember this wonderful woman who is largely responsible for the game we love and play today. 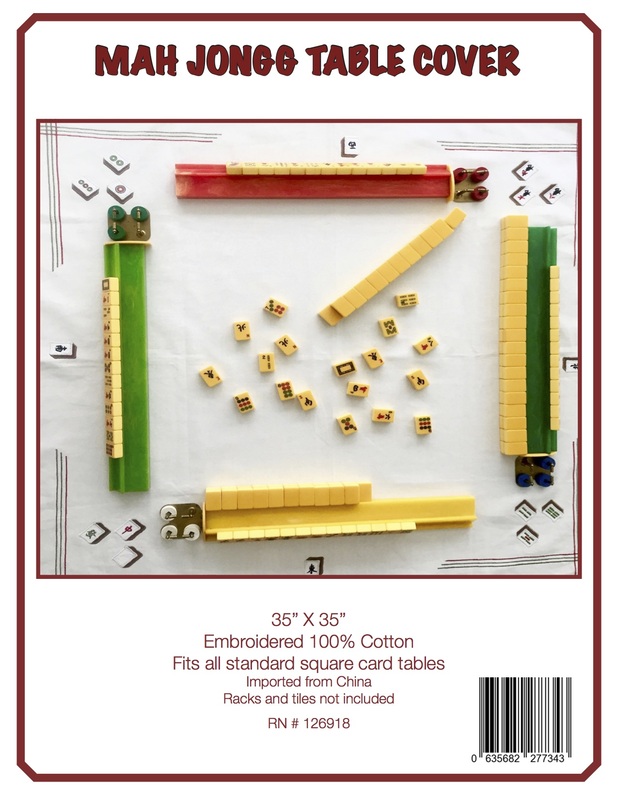 This entry was posted in Mah Jongg and Me and tagged defensive, dogging, Foreword, maajh, mah jongg, National Mah Jongg League, nmjl, Table of Contents, Viola Cecil on June 7, 2015 by Mah Jongg and Me. I’d dearly love to have those tiles (but think the auction will be above my priceline). But, perhaps before the auction is over he could get in touch with the seller to see if he could buy the book? Susan – thank you so much for this information. I will let Bill know.